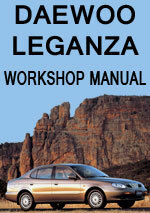 This comprehensive workshop manual is the exact same manual issued by Daewoo Leganza to their dealers and technicians. Suitable for the home workshop mechanic or professional technician this manual will help you maintain your Daewoo Leganza. Very easy step by step instructions with lots of diagrams. Get your Workshop Repair Manual in a flash. As soon as your payment is procressed you will be directed immediately to the download file. 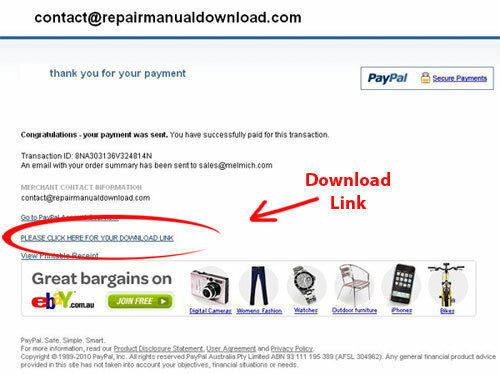 Please Note: If you pay for your manual by Paypal using a credit card, Paypal does not immediately direct you to the download file. You will be presented with Paypal's own receipt page. (see below). If you are directed to this page, look for the link that says "PLEASE CLICK HERE FOR YOUR DOWNLOAD LINK". PLEASE save the repair manual to your hard drive, memory stick or cd. Daewoo Leganza 1997-2002 Workshop Service Repair Manual $9.99 Immediate Download!